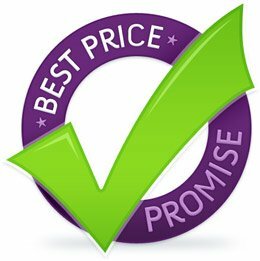 We already now that we offer great value for quality items & that we are cheaper than our competitors - Linda Barker, John Lewis, Mail Order Art, Next & all the rest but to make sure this is our Price Promise. Brilliant Wall Art offer all customers our Price Promise as we are confident that we will not be beaten on price. If you see the same product advertised at a lower price including delivery and in stock we will endeavour to match the price & where possible beat it. Simply contact our team with details of the store or web-site that you have seen the product (s) at a cheaper price and let us do the rest. This offer does not apply to sale, promotional or clearance prices and excludes all auction sites. Proof of any claim may be required. We will consider all price beat requests, however, any price beat will be offered at our discretion. We reserve the right to refuse a price beat at any time.